Home FLORIDA NEWS Pioneer of Golf Shot Tracking and Measurement commits $250K of golf tech, launches Golf For Blind, Inc.
Pioneer of Golf Shot Tracking and Measurement commits $250K of golf tech, launches Golf For Blind, Inc.
TAMPA, Fla. /Florida Newswire/ — Florida resident George Nauck has established Golf For Blind, Inc., a Florida Not For Profit Corporation. Funds raised will be used to place golf shot measurement and scoring systems on ranges where blind and disabled veterans may learn to play golf through measured and scored target shoots. A 1960 graduate of Texas A&M College where he earned his degree in Chemical Engineering, Nauck worked in the oil and gas industry where he authored a technical paper with ground-breaking methods for optimizing recovery from gas wells. The paper was delivered at numerous conventions of the SPE before Nauck moved to the synthetic rubber industry where he managed a technical department and earned the president’s award for innovation. Moving to the plastics division, he managed plastics manufacturing plants in Massachusetts and Alabama. After retiring from chemical plant management, Nauck used NASA’s Office of Technology Transfer and leading Space and Defense technologists surrounding Marshall Space Flight Center in Huntsville, Alabama to design and demonstrate golf shot tracking and measurement systems for ranges. His U.S. patent No. 5,413,345 in 1995 formed the basis for golf shot tracer technology that is now widely implemented for telecasts of Professional Golf tournaments and Major League Baseball. The displays of colored ribbons with shot trajectory and information and the path and location of pitches over the plate use technology pioneered by Nauck. At the request of golf ball manufacturers, Nauck, dba Encore Golf of Decatur, Alabama, set out to develop the first instrument capable of measuring the continuous spin and velocity of shots anywhere on trajectory. The high powered 10.525 gigahertz radar based instrument was named the Spin Detective and was used to provide long-sought information for all the major golf ball manufacturers. It was the basis for a technical paper presented at the 1998 World Scientific Congress of Golf at St. Andrews, Scotland. As an engineer, Nauck was versed in statistical quality control principles used throughout industry to measure machines and processes as to the accuracy and consistency of their output. Homer Kelley’s classic book “The Golfing Machine” breaks down the golfer into a machine. For many years, the “Iron Byron”, a mechanical golfing machine designed and built by True Temper, which duplicated the swing of Byron Nelson, was used by USGA and throughout industry to test the performance of golf balls when struck with the exact same swing as Byron Nelson. Nauck took the measurement of the shots to a new level by designing a coordinate measuring method of shots at a target, and applying statistical process control calculations to the shot groups. This has allowed golfers to quantify their performance improvement and to compete in target shoots. Use of statistical process control principles for golfer performance was acknowledged by Dr. W. Edwards Deming, (1900-1993) who is widely acknowledged as the leading management thinker in the field of quality. He was a statistician and business consultant whose methods helped hasten Japan’s recovery after the Second World War and beyond. Through Golf For Blind, Inc., Nauck has committed his financial investment and years of research and development to create a better golf learning experience and competitive golf sport for the blind and others with disabilities. A member of The United States Blind Golf Association, Nauck expects that a Paralympic golf sport for the blind will emerge as his shot measurement and scoring system becomes a standard fixture on golf learning and practice facilities. All excess funding will be divided between The USBGA and The Blinded Veterans Association. An Army Veteran himself, Nauck helps with the adaptive golf program for disabled veterans from James A. Haley Veterans Hospital in Tampa, Florida. 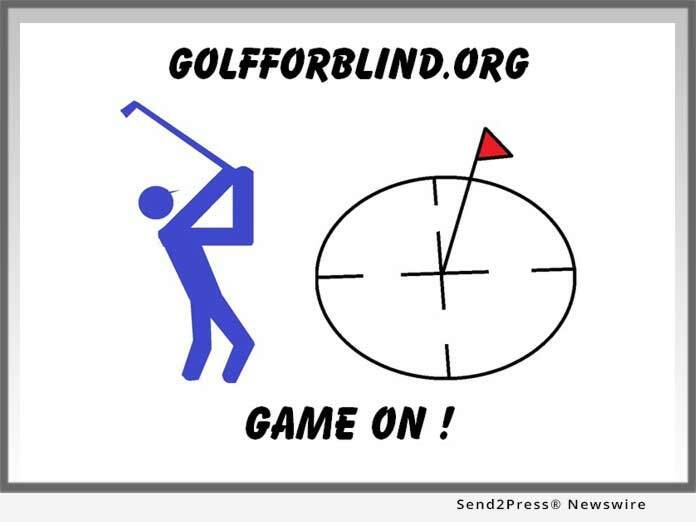 Through Golf For Blind, Inc., and the website https://golfforblind.org/, Nauck will raise funds to equip ranges where adaptive golf for the blind is taught and practiced.